What exactly is Power BI? Why did Microsoft provide two versions: Power BI Desktop and Excel-based Power BI? 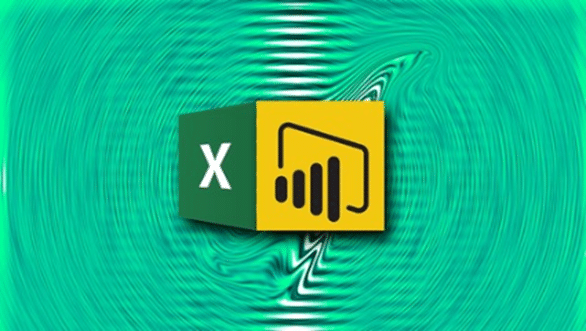 Why do I need Power BI Desktop when the existing Excel-based Power BI tools does the work just as well, at zero extra cost and without the hassle of adopting a new tool? If so, why would Microsoft actively invest in stand-alone Power BI with monthly updates and new features that are not available in Excel-based Power BI? Finally, why is Dr. Nitin going against the trend by creating an entire course on Power BI Desktop? Hi, I’m looking at your course From Excel Pivot Table to Power BI Desktop. Most of my data sits in SharePoint 2013, which my bosses would like put into a dashboard. As I understand it. Power BI desktop can’t publish to SharePoint directly. From the looks of it, SharePoint 2013 can use PowerPivot and PowerView (SharePoint versions). From what I understand PowerBI uses the underlyings of PowerPivot. Apart from publishing to Power BI portal. Everything looks as if it would be applicable to SharePoint2013. Am I correct? Would your course still help me? Thanks Andrew for posting the query. Short answer. This course will NOT help you, because it is designed with the new Power BI tools in mind. This course does not discuss Excel-based Power BI (Power Query, Power Pivot, Power View and Power Map). which is independent of Excel. Secondly, Excel users are accustomed to using it in an random and unstructured manner. All the bad habits lead to poor data quality, lot of time wastage in cleaning up the data and lot of repetitive manual work. This leaves very little time for actually analyzing the data and finding something useful and actionable from it. The most important reason is that, even though large amount of data can be managed on a desktop, it requires good hardware. Processing happens locally. Local hardware for users does not upgrade frequently enough. The new Power BI toolkit prevents the Excel based inefficiency to creep in because we have to start from a clean slate. Power BI allows processing to happen live and on the cloud. It also has Machine Learning back-end for Q&A and Quick Insights. Microsoft is rapidly evolving the Power BI tools in an unprecedented manner. Every month, 20+ new features are being added. In short, in future, Power BI is the focus and Excel based Power BI is on a downhill path. Of course, this is my interpretation – not Microsoft’s official response. If you have already created Queries, Data Modeling and Power View reports in Excel, these can be imported (one-time) into Power BI Desktop. Therefore, the effort you put in Excel is not wasted. Having said that, if you create a Power Pivot in Excel, it can be published on SharePoint / OneDrive in a very effective manner. In Excel, go to File – Browser View options. Lot of great stuff there. I hope this clarifies your doubts.